*sigh* I give up. I don't want to start an edit war on TVTropes. God is a ******. I do not deserve losing MLP:FIM to a bunch of a*holes that enjoy good-vs-evil shows, nor do I deserve losing Humf and Spot to that ex-boss' son. Test of will? I forfeit. Heck I didn't even ask to be tested. RAMChYLD Wrote: *sigh* I give up. I don't want to start an edit war on TVTropes. What were you trying to add to the MLP:FIM TVTropes page? Perhaps I can send a message to someone there to find out why they deleted your entries. You can see what's going on in the NightmareFuel history page. Well, I see those deep pit at TVTropes are trying to convince Hasbro that people like the new format by attempting to delete every since trope they deem "hater-posted". Fine, let it be. TVTropes is overrun by *Japanese Steak heads anyway. Replacement for Wikipedia. BLAH! Wikipedia is even more levelheaded than those bleep. My solution is simple: Just drop TVTropes. Listening to Randy Newman - Losing You. Alright, let's take a deep breath now. There still has been only one episode of the new season actually come out. I actually pretty much assume we will find out Discord is not really that bad guy at all, or at least he will become sympathetic. Reasoning? Other than the dogs in that jewel episode that kinda creeped me out because it seemed like it was FEMINISIM WOOT, every villian at the end of of the episode you tend to at least start feeling sorry for. Trixie doesn't feel she can be honest with who she is or no one will like her, and we can only hope that the silly pony opens up the real person that she is. Luna, the original pony just had a beautiful creation and a beautiful part in life that no one appreciated. She felt lonely, she felt unwanted. There is something obvious about Discord, he really wants things his own way and he wants people to play his games. Maybe he's just really hoping for a friend too. 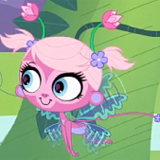 I've been very happy with this season of My Little Pony for at least showing villains in a kind light (again, other than that dog episode which just constantly throws me for loops, it feels out of place to be honest), and I'm sure this one will get that treatment too. He's not just a mean guy, and I think that is something you have to remember in life. The people you think are mean tend to have reasons for their actions, and it's important to get to know them. There is a place for these episodes, and just like the other episodes they teach us important lessons about who we are and life in general. This two-part episode is just symbolic of the first episode. Every pony's own element of harmony is tested, and they push through it all and show why they were the elements of harmony in the first place. It's to reinforce in the second season the magical quality that these ponies possessed that made them so lovable in the first season, it's just the same opener as before. Fluttershy's kindness, which both you and I really, really love, will shine brighter after a test of it. We all are tested in life whether it is happy or not as you are feeling tested now, and these aspects in their own magical quality are just as slice-of-life and casual as the other episodes. We wouldn't have such a cherished hold of the good times if the bad times didn't exist, no life is perfect and it's the parts of our life that weren't perfect that always are the focus point of any episode, even if it's small. That being said, after this two-part episode I am almost absolutely sure you will see many of the types of episodes that you liked in the previous seasons. This series has always had occasional hints at the power of friendship having to overcome something harsh. In our own lives, I wish more people did that. I care about you, that you are so upset and you are crying but I'm telling you something. What can we do with characters, but love them? Respect them? Sometimes if it's the right kinda character we even idolize them and see a bit of ourselves in them. Those feelings aren't things anyone can take away from you, those feelings are all a character has in the word because they are just that, characters. I've been addicted to writing, especially writing of characters my whole life and experiencing so many different ones through other people's writing is a huge joy. The only life a character really has is a readers love, a readers interest, or in this case.. a watcher and a good fan. No one can take away that from you. No one. You can only take it from yourself. Also, for those wanting to chat with me on MSN (anyone on the site I would be happy to chat with) please note that I have officially abandoned my <!-- e --><a href="mailto:insanelittlegirl@live.com">insanelittlegirl@live.com</a><!-- e --> address. Please PM me if you would like to chat with me, as I am no longer posting my current MSN publicly. Also, anyone here doing Google+? Just wondering if I'm the only one, it's okay if social media makes you squirm. Not really into it, though. Google+ scares me because I don't know what it is, so no, I don't use it yet. What you wrote was beautiful, Angel. Stella Grapes Wrote: Google+ scares me because I don't know what it is, so no, I don't use it yet. Google+ is supposed to be their answer to Facebook. I haven't tried it yet, and i don't plan to use it. There is really nothing scary about it in itself. As with all social networking sites, you do have to be careful since unscrupulous people are present anywhere.